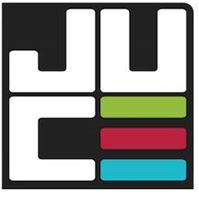 Music TV Channel / JUCE TV is a youth-oriented Christian television network owned and operated by the Trinity Broadcasting Network. The network is aimed at teenagers and young adults between the ages of 13 and 30 years, and features music videos (similar to MTV, but with a Christian focus), Christian-themed entertainment and lifestyle programming, and some church services. JUCE TV is carried over-the-air on digital subchannels of TBN owned-and-operated and affiliated stations nationwide, usually on the third subchannel (for example, if the local TBN station broadcasts on channel 17, then JUCE TV would be carried on digital subchannel 17.3). Since June 1, 2015, the network has shared subchannel space with sister network Smile of a Child TV over-the-air; however, JUCE TV continues to operate as a separate 24-hour channel on pay television providers as well as on select digital streaming platforms that offer TBN's six U.S. networks.